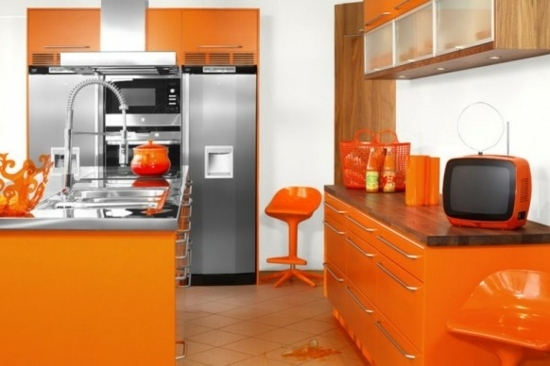 We will show you some creative ideas for small kitchen furniture and narrow kitchen ideas and give you some tips for the layout and color selection. 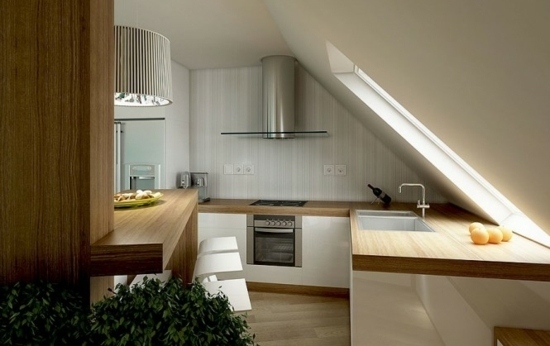 If you have limited floor space, and want to use the maximum of it, you can opt for a U-shaped kitchen. 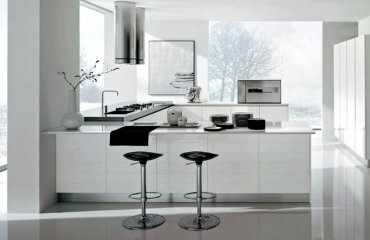 The kitchen island will visually divide the room. 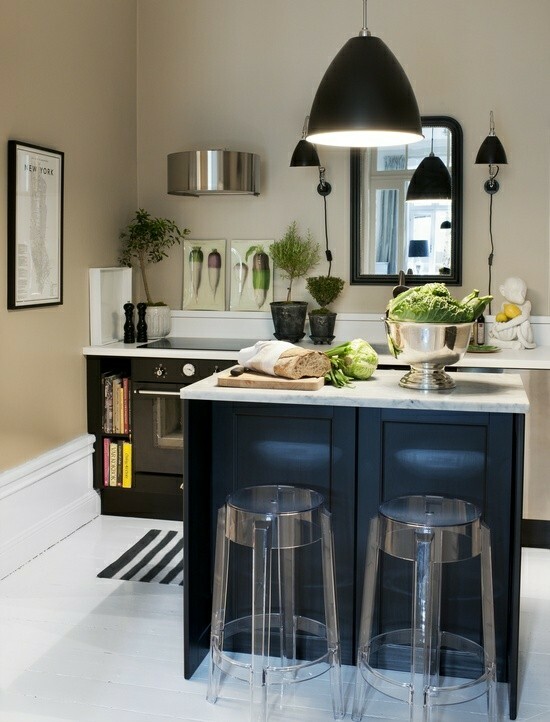 Bar stools save space and connect the living room to the kitchen. 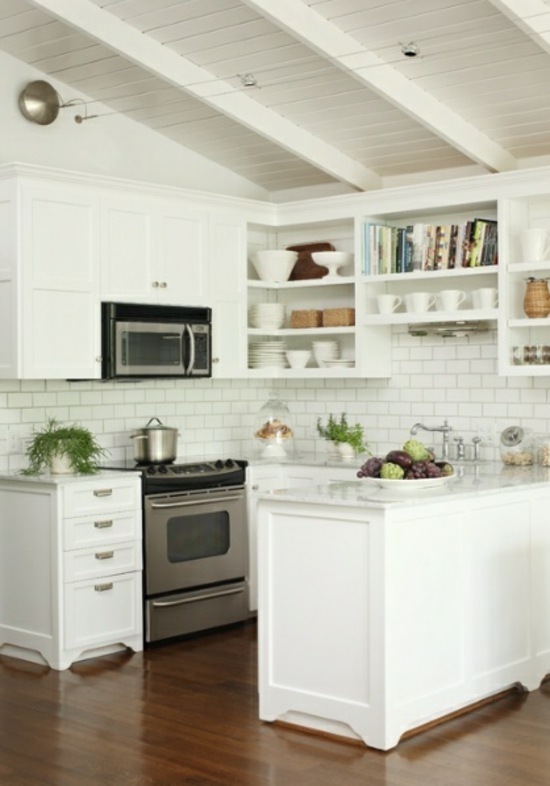 Use the available space in a sensible way and mount cabinets on the wall, so that you can secure sufficient storage space for cooking utensils. 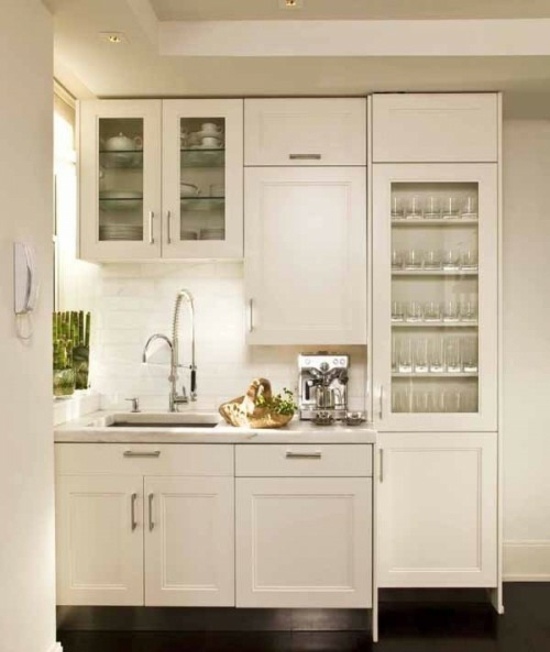 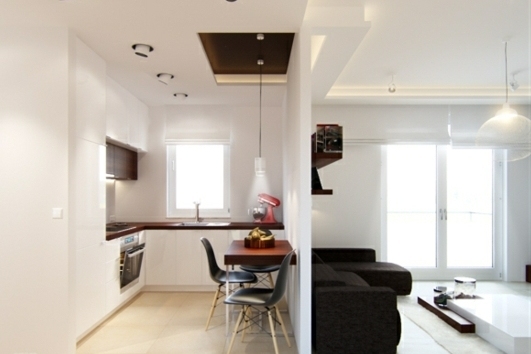 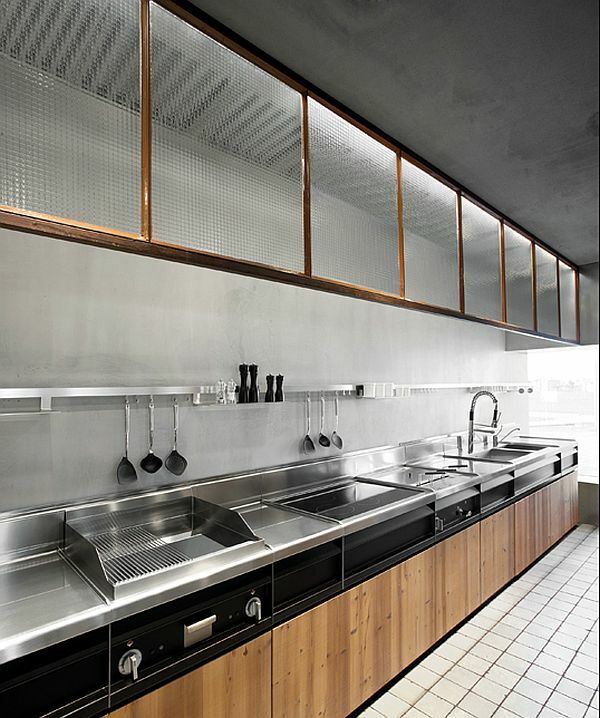 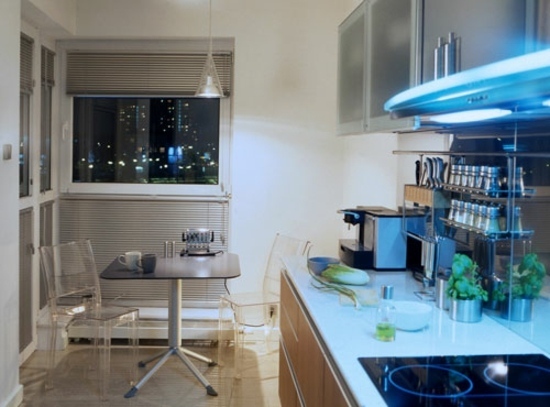 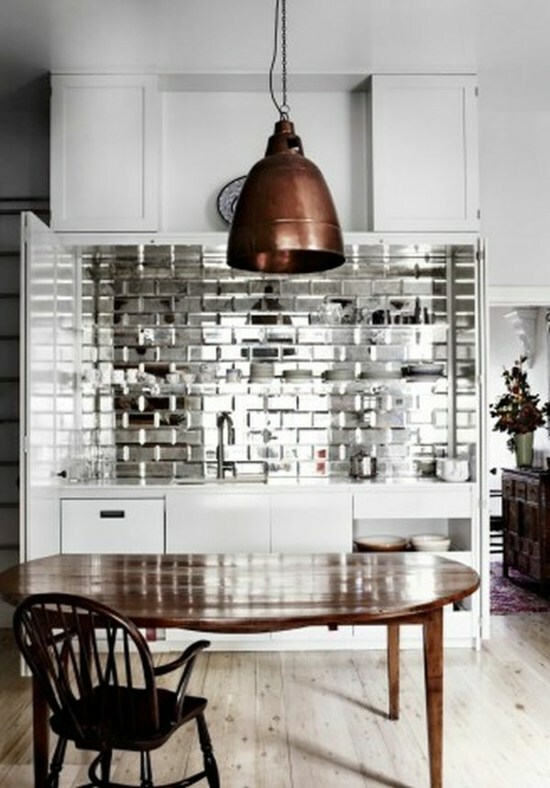 You have to follow the golden rule for the small kitchen furniture – less is more. 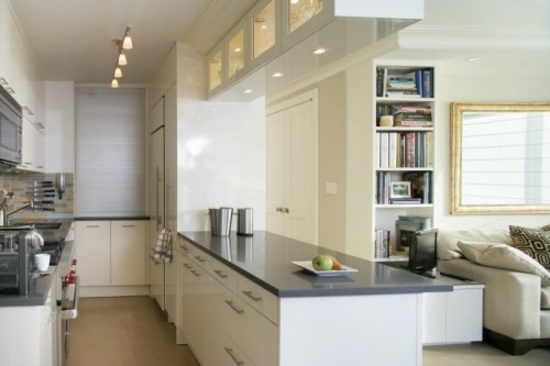 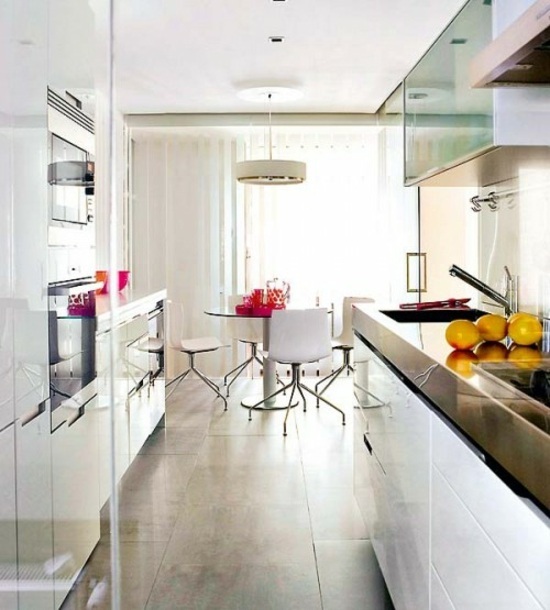 A sliding glass door, many wall shelves and cabinets are a must. 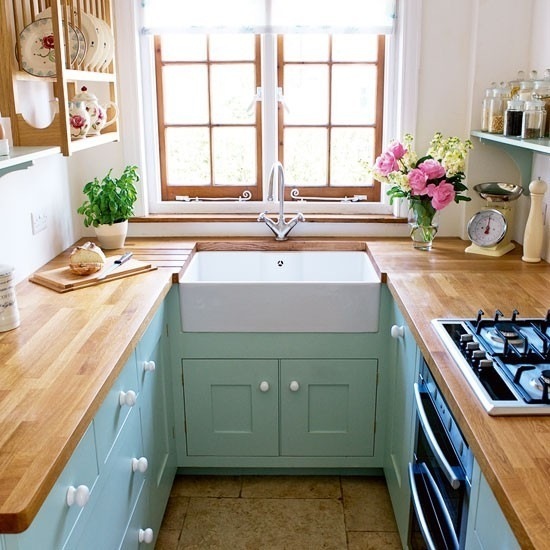 Good order in the small kitchen will save you lots of time. 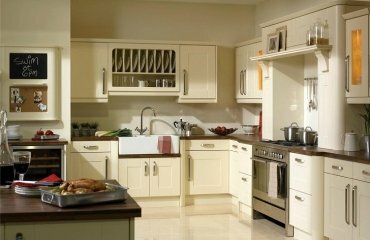 The colors in the small kitchens should brighten the room – the white kitchen color automatically makes the room seem bigger. 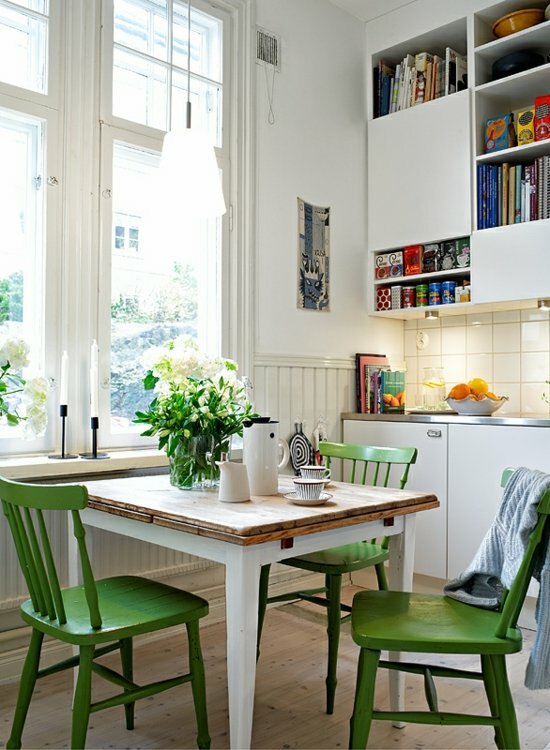 It can look cozy with colorful chairs or accents. 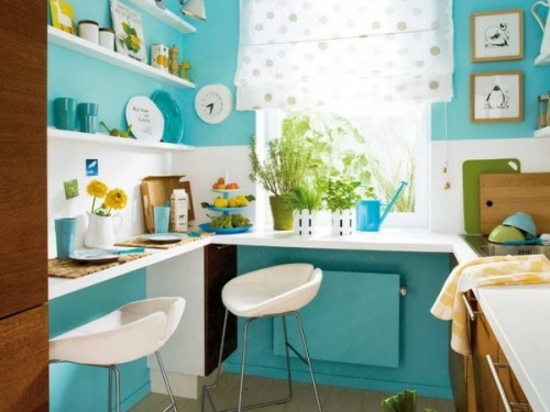 If you want to add a charm to the kitchen, you can opt for colorful curtains, or decorations. 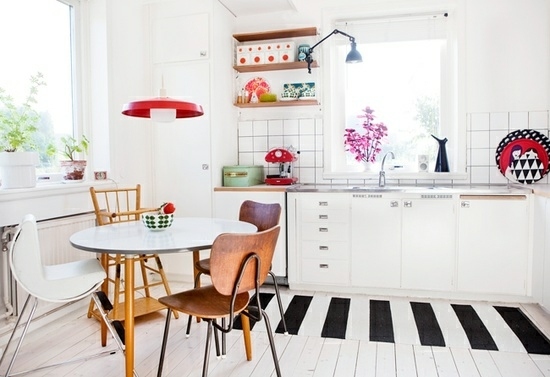 Wall clocks or small pictures, carpet with stripes are original and practical additions to the interior. 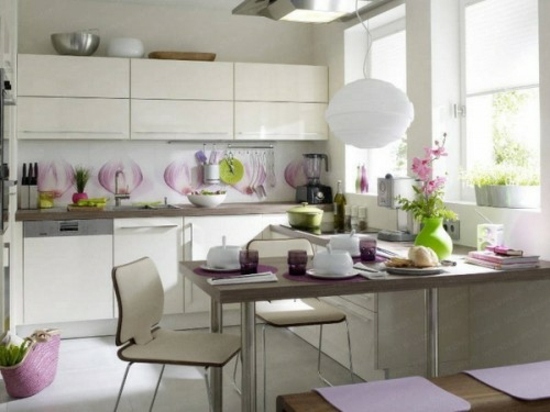 You can be inspired for small kitchen furniture ideas by the following picture gallery. 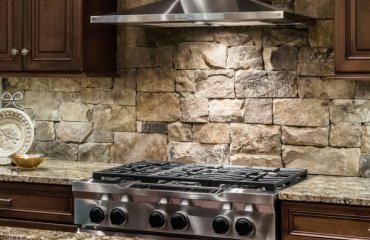 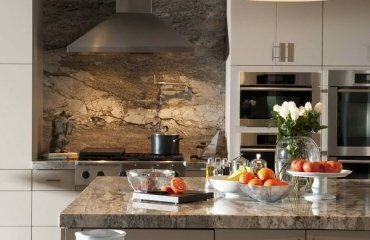 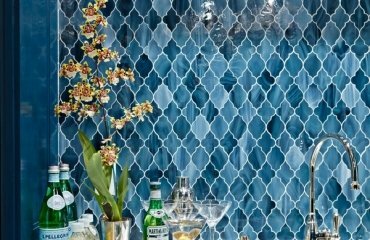 Installing a granite backsplash – a good or a bad idea?